Tribhuvan University, Institue of Medicine published a notice about the Fee Structure of PCL Nursing 2075/076. The notice can found on the official website of Institue of Medicine. As published on the notice, the fee for Subsidized Quota is Rs. 201,354 and for Paying Quota is 527,690. 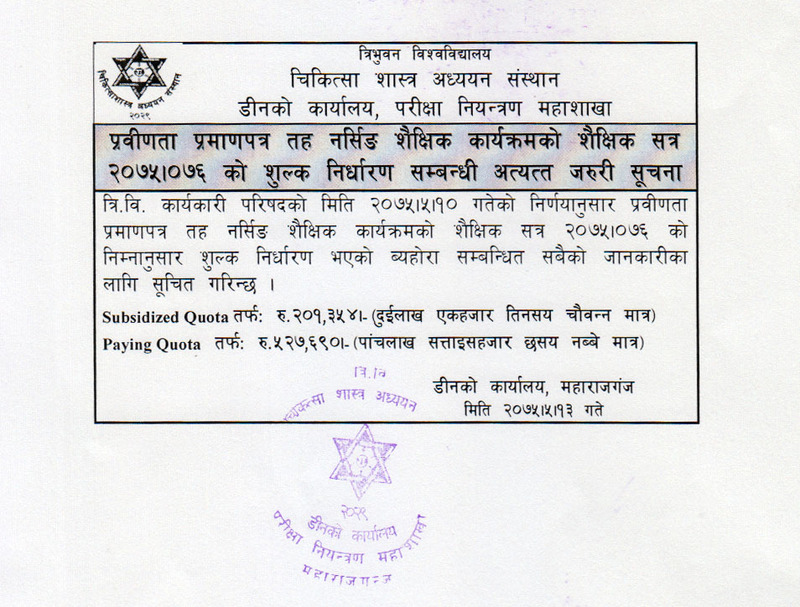 Check official Fee Structure of PCL Nursing 2075/076 Notice - Tribhuvan University below.